Picture above shows St Pauls Cathedral. 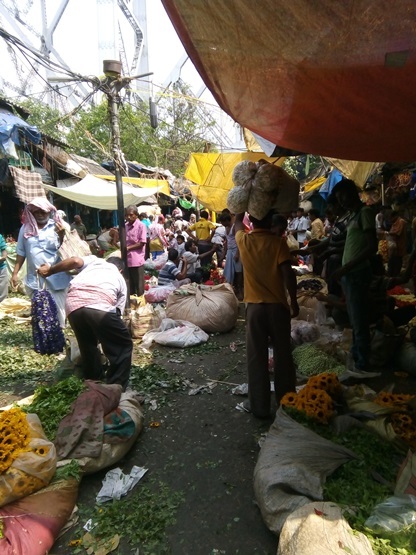 Calcutta may seem strange choice as a holiday destination. A holiday in India can be a beach holiday with Goa the main place to be and possibly a couple of places in South India. 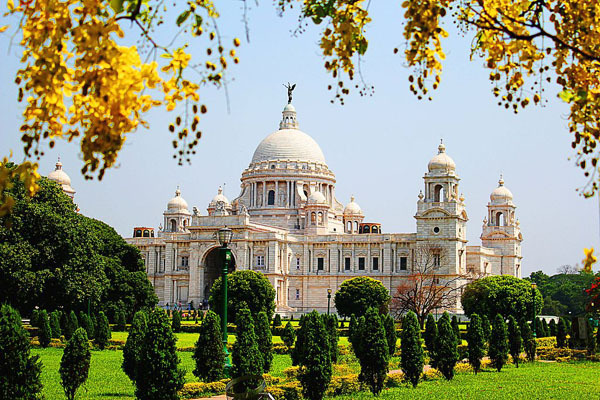 Or it can be places to go, things to see, heritage and history, particularly the history of British in India then maybe places like Calcutta, Shimla, Hyderabad, Bombay are the place to go. Heritage and history is inevitably going to lead to several churches and graveyards being included but there is more. 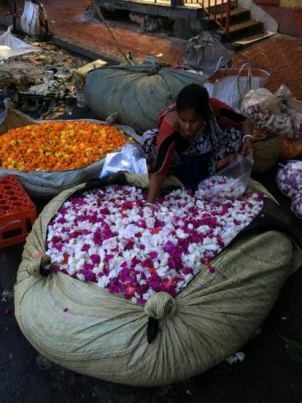 Mulick Ghat Flower Market every morning next to Chotta Lal Ghat under the Calcutta side of Howrah Bridge. 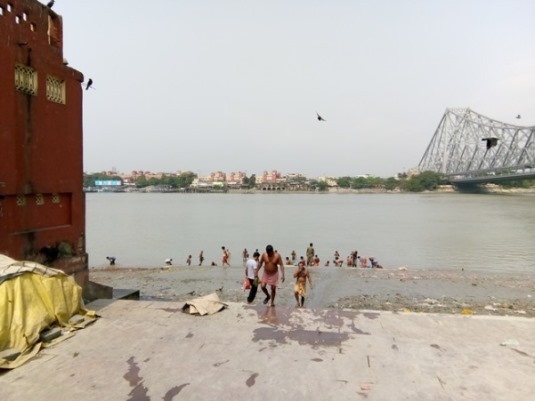 A Ghat is just access to the river, it may be just a ramp or steps or maybe a jetty. 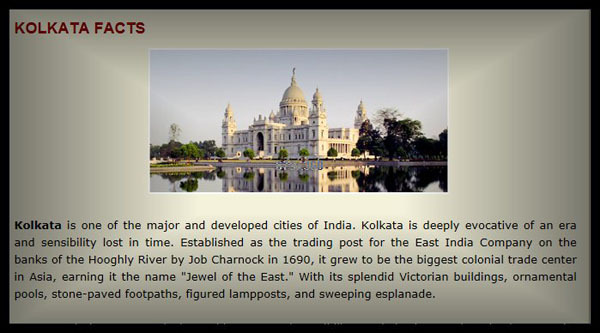 They were built by trading companies eg Covil's Ghat or local authority such as Customs House Ghat. 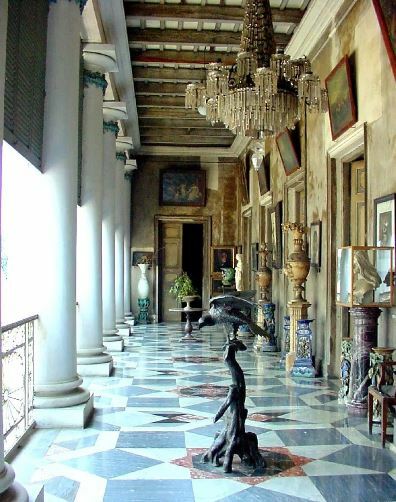 It's interesting that Mulick is the name of the family that built (and still live in) the Marble Palace. 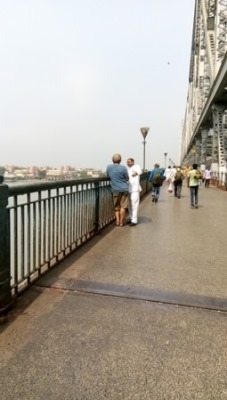 Picture below shows Howrah Railway Station on the other side of the river and Howrah Bridge on the right. Picture shows St Andrews Church and the Writers Building to the left. St Johns Church 1787 was preceded by The Armenian Church of the Holy Nazareth 1724 and by Kiernanders Old Mission Church 1770, these two are still standing and by St Ann's church that was built in 1709 and destroyed along with the original Fort William (part of the Writers Building is on the site of St Ann's Church). 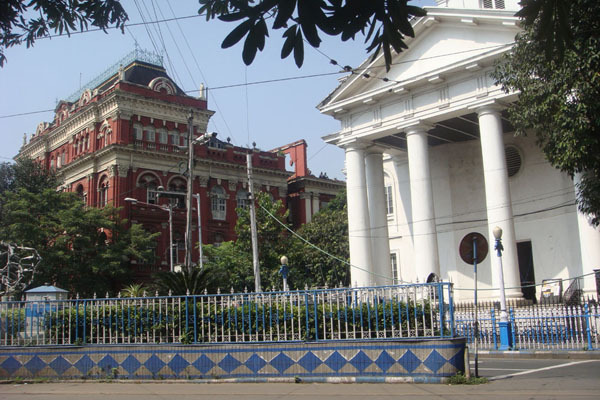 St John's is not the oldest church in Calcutta but from our (Brits) point of view it is probably the most historic and the most important. 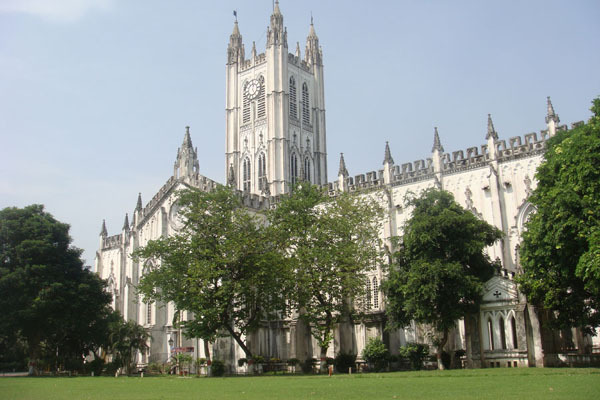 It was the principal church used by the East India Company and later by the Viceroys and senior government. 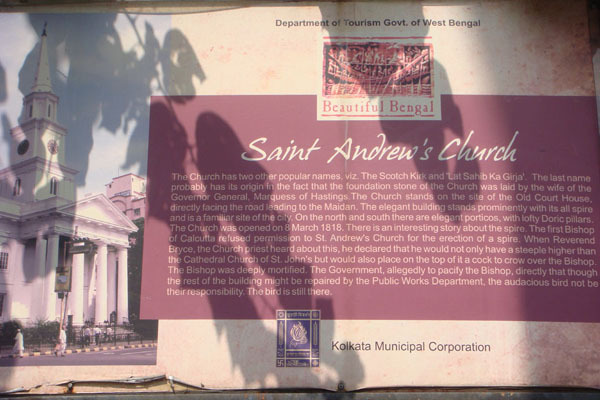 A great number of the characters that figure in the history of East India Company and the British community in Calcutta are commemorated on plaques in the church and it can take a long time to get around and see them all. 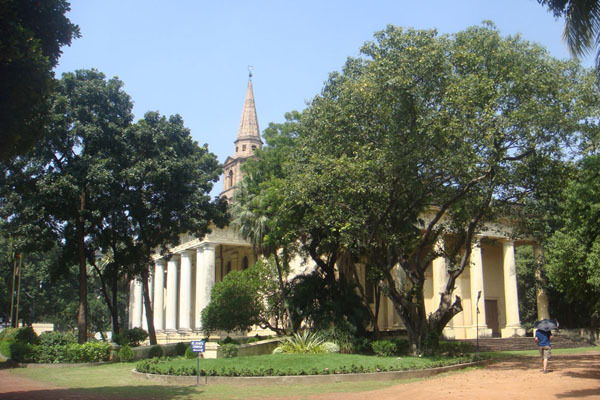 Outside are monuments and tombs including Lady Canning memorial and Job Charnocks tomb. House of Fraser. 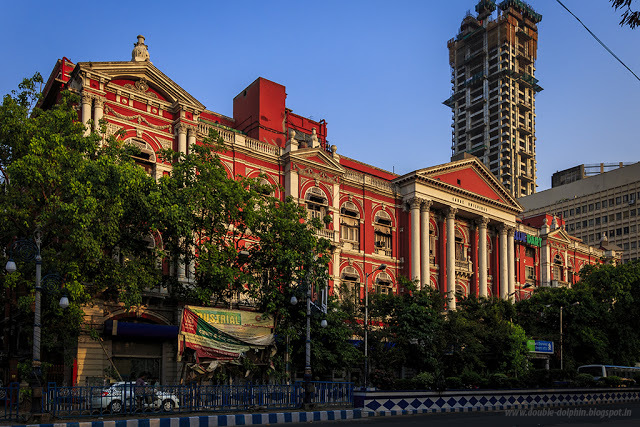 The red and white building on Chowringhee Road is the Calcutta branch of The Army and Navy Stores opened in 1901 and closed in 1948. The army and Navy Stores became House of Fraser. 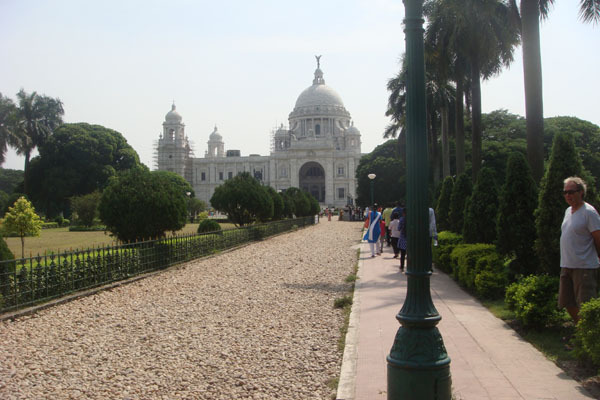 The Victoria Memorial known by some locals as Queen Victoria's House but fact is that Victoria never left Britain. 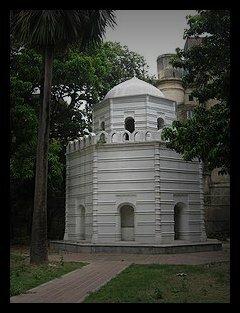 It stands in the Maidan - a large park area in the centre of Calcutta. Lord Curzon initiated the building of a memorial after Victoria died in 1901. George V laid the foundation stone in 1906. 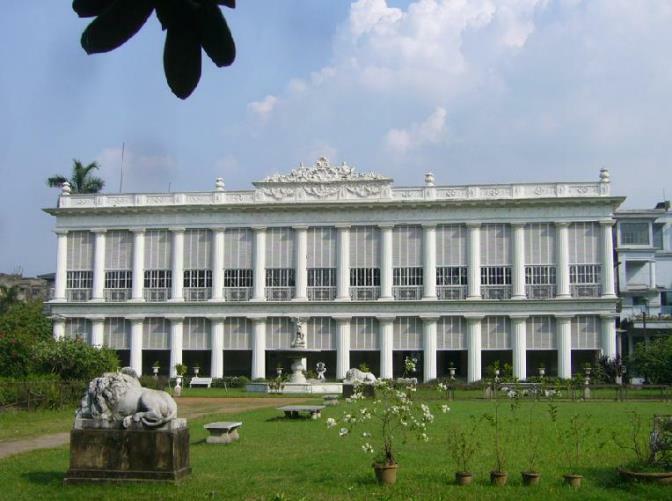 It's a spectacular building and the Indian Government have turned it into an excellent Museum. 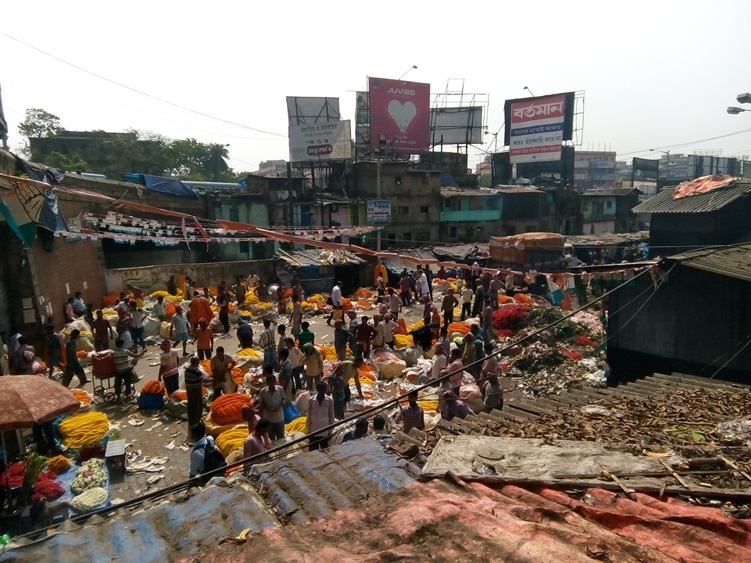 Calcutta connections with Lancashire. Robert Clive - 'Clive of India' went to Stand Grammer School in Whitefield near Bury (Later he led a gang of youths that ran a protection racket in Market Drayton). Job Charnock was from Charnock Richard near Chorley. D.O.M. Jobus Charnock, Armiger Anglus et nup. in hoc regno. Bengalensi dignissimum Anglorum Agens Mortalitatis suae exuvias sub hoc marmore deposuit, ut in spe beatae resurrectionis ad Christi judicis adventum obdormirent. Qui postquam in solo non suo peregrinatus esset diu reversus est domum suae aeternitatis decimo die 10th Januarii 1692. Pariter Jacet Maria, Iobi Primogenita, Carole Eyre Anglorum hicci Praefecti. Conjux charissima. Quae Obiit 19 die Februarii A.D. 1696–97. 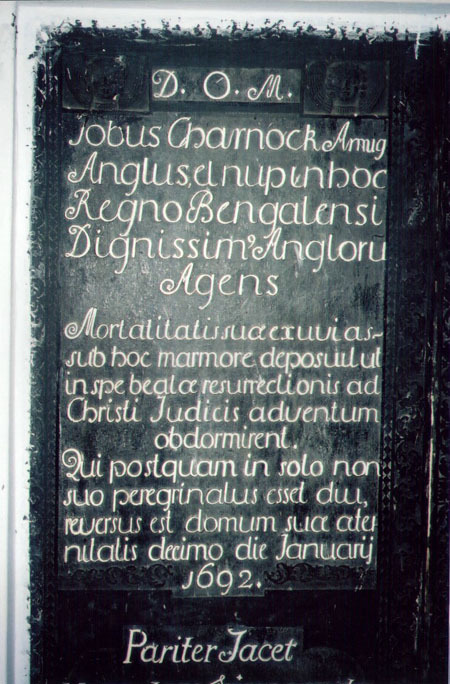 Translation: In the hands of God Almighty, Job Charnock, English knight and recently the most worthy agent of the English in this Kingdom of Bengal, left his mortal remains under this marble so that he might sleep in the hope of a blessed resurrection at the coming of Christ the Judge. After he had journeyed onto foreign soil he returned after a little while to his eternal home on the 10th day of January 1692. By his side lies Mary, first-born daughter of Job, and dearest wife of Charles Eyre, the English prefect in these parts. She died on 19 February AD 1696–7.